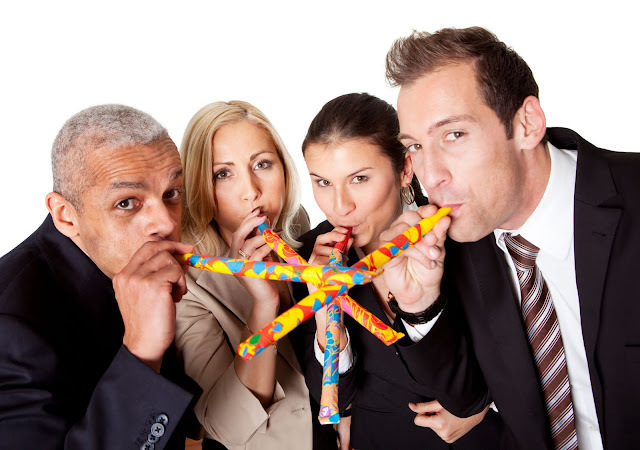 If work is starting to feel like the same old thing, it may be time to inject some fun into the workplace. Fun reduces employee stress, improves overall company morale and makes the 8 hours (or more) your employees spend at their desks more enjoyable. It doesn’t take much effort or a big budget to have some fun at work. Below are some ways you can make work more fun. Pot lucks are a great way to get your entire team together. At ACF, we try to have one pot luck lunch every month, usually around a monthly holiday. We get to taste some great food made by our employees and talk about things other than work. For even more fun, consider adding games or a karaoke machine to the mix. Don’t forget to record the event with photos or videos! You can see the photos from our previous pot lucks at our Facebook page. Music is a great way to fight liven the mood and actually has been known to help people concentrate! At ACF, almost everyone has music playing in their office, whether it’s from a radio or an iPod with headphones. A little background noise can really help the day go by fast. Some simple decoration can help put people in a good mood. Decorate the office for holidays to help your employees get in the spirit. Additionally, allowing employees to decorate their offices or cubicles with pictures or stuff they like can help make the space they spend most of their day in feel more like their own. It doesn’t take much to have a little fun in the workplace and can really help overall morale. What are some things your company does to have a little fun?